MARTHA MOMENTS: Martha on PBS This Fall! Martha on PBS This Fall! "I'm excited to announce my new TV show, "Martha Stewart's Cooking School," to air this fall on PBS. On the show, I'll demonstrate how to prepare classic dishes using proper techniques and also inspire viewers to add their own unique twists to recipes. I'm looking forward to getting into the kitchen and connecting with home cooks everywhere!" I'm thrilled to hear about this! I look forward to her weekly cooking show. I love the format of 'Martha Bakes', so I'm sure this will be similar. This is the type of show I miss her doing. No audience and no one promoting anything. I personally am not a crafter or gardener but I really do enjoy her cooking so I am glad she is focusing on that for PBS however does anyone know if she plans to focus on those topics as well? I'm surprised that they weren't mentioned for her Fall plans considering who she is. I enjoy Martha Stewart at most during Halloween, so I'm curious to know how she will incorporate it into her Cooking School new show or if she will have some sort of primetime special. This is such good news. I have to tell you that mum and I are hooked on Martha Bakes (which is currently showing in the UK). I have learnt so much and her enthusiasm is evident. I hope this new show evenutally finds it way over the pond! Wonderful news! I can't wait to watch her new show. Wish you a wonderful weekend Andrew. She's going the way of Julia Child, her idol, which is great. I'm not sure what will happen to the craft, gardening and decorating segments. They'll be missed, but I'm sure there will be an outlet of some sort for those video segments as well - perhaps online? Enjoy your blog and appreciate all the time and effort you put in to it. I went to a taping of Martha's show and it was great! A few candid moments when they stop film for a couple of retakes. When the show was over Martha did her typical Q & A with the audience. One question was on point. A woman said she was disappointed that the show was ending and wondered what Martha would do next? Martha was very candid and said she wasn't going away… just not doing the live show. "It hasn't been made public yet, but I can say that my new program will be on PBS." Went on to say, "as much as I have enjoyed doing this live, audience show for the last seven years… it is so much work!" She seemed pleased with the new opportunity. I'm guessing the show will more on the lines of "Martha Bakes" with a MUCH smaller production. From my perspective, just seeing all the behind the scenes people on the current show, she will be able to cut production cost significantly. Barbara, no, Martha's show on Hallmark will end this month and the show repeats all summer. In September it will be gone completely. I'm not sure about Mad Hungry and some of the other Martha Stewart related shows. My impression is that the Hallmark deal is over for all of the shows Martha was involved in. On to PBS!! Has anyone heard anything about The Martha Stewart Show farewell episode? Any idea what day it will be? You made my day. Finally back in Canada! Thanks for the good news. I think I'm in the minority, but I'm not overly thrilled with this most recent announcement. What I always loved about MSLO was the diversification of content - from cooking and entertaining to gardening, decorating and crafts. (be it on television, magazine content, or book publications). There has been a steady shift over the years to a more 'food-centric' platform on television and in Living magazine. The other core content areas seem to be an after-thought, especially in television. In order for this venture to be successful, MSLO will need to find a way to make it different from the zillion other cooking shows on the air. I would have preferred for the show to simply be called Martha Cooks (like Martha Bakes). Also, I hope it is successful. PBS to me doesn't seem to be huge. I would have loved to see the show in a one hour format once a week rather than half an hour and call it Martha Stewart Living (bringing that title back), that way not only cooking is involved. Barbara, in 2005/2006 Martha released a bunch of DVDs containing old episodes of Martha Stewart Living. You can still find some of them on Amazon.com. Just do a search for Martha Stewart in the DVD category. Barbara - Back in the day, I taped every single episode (including all the holiday specials) of Living. It was a long, long process, but over the course of a year, I had all those tapes transferred to DVD. Living will always be the ultimate Martha Stewart show to me. Oh this is wonderful news. 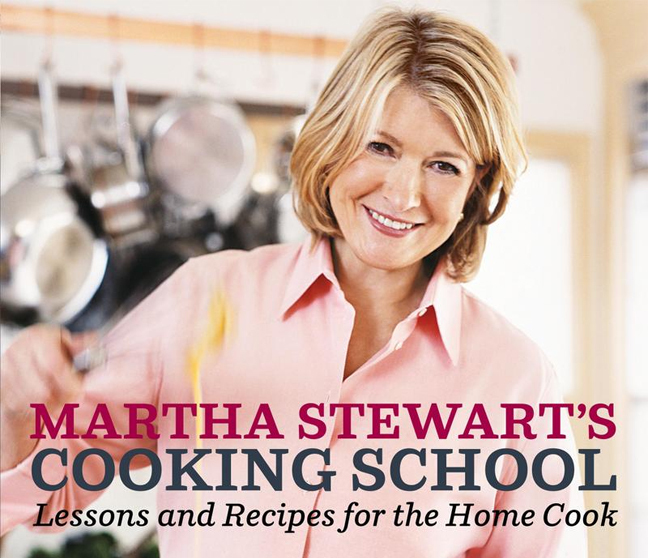 Did martha not actually start on PBS I mean before the Aga cooking demo shorts she filmed. Oh Andrew , what a treat if you could find the Aga short and share it on your site. Oh Andrew be a peach and search for it. I will also miss seeing Martha on Hallmark, especially the variety of topics, her expertise on conservation and organic farming, care of animals, and the overall format, in general. Her true personality came through each day as she educated the masses, and that, along with her great crew, will surely be missed. Oh, how I have missed Martha! Because I was unable to subscribe to the Hallmark Channel (our local Cable Service Provider didn't carry it! ), her brief website and YouTube clips simply weren't enough to satiate my domestic appetite, I'm afraid. It will, indeed, be nice having her as an honored guest in my home once more, if only once a week instead of daily. Though, as a Herbalist and avid gardener, I *will* miss her seasonal gardening topics. @Kenn, like you, Living will always be the Ultimate MS TV show for me. I never thought to record them, but I should have. I just always thought they would be around. I was always unhappy with the thematic DVDs, wanting, instead, the full season/s of that show. Any chance of you digitizing them and putting them up on a torrent for fellow fans to DL? @Wade Well now, that would be an undertaking for sure! I'm sure there would be some copyright issues.. I'd love to see MSLO release the series digitally season by season. The quality of VCR to DVD leaves something to be desired! I have to agree with Kenn that I'm not too excited about this new turn. I will miss the non food related topics. Most of the time I fast forwarded through the cooking segments to get to the crafting and decorating. I will also miss seeing people like Darcy Miller, Kristin St Clair, Hannah Millman and others who appeared on the show. Guess Joey Kola is out of a job. Not sure if I'll watch the new show. With the old show being live I liked hearing updates about 'baby' Jude or what her weekend was like. I don't think we'll get those personal updates in this new format. I am happy for those that have been without Martha the last few years with Hallmark though! Does martha no longer have a radio show on Sirius? All the chit chat that folks think will not be on he cooking show for PBS would be available were the radio show still around. It's been two years for me, Roberta, since I've seen any new Martha television. This is very exciting for me! Cutting through Martha's press, a friend who works with Martha describes the Hallmark move "a disaster." A new format on PBS is OK, but the cross-promotional content that has characterized her recent TV series just won't be the same. And promoting product is a lot of what Martha TV has become. I love Martha on TV -- her programs, the Today show, late-night appearances -- but her marketing pitches are what has come to define most of her content. Will PBS still offer these marketing opportunities??!? That is the question. . . .